All the single ladies—all 100 million of them—are an increasingly powerful cultural force. Is the Culture of Marriage Dying Out? Kate Bolick’s blockbuster Atlantic cover story, “All the Single Ladies,” drew over a million readers and inspired a heated debate on modern notions of romance, family, career, and success. Now, she presents her book Spinster and invites us into her carefully considered, passionately lived life. Why do some women remain unmarried, she asks, and what are the cultural—and economic—implications of staying single? 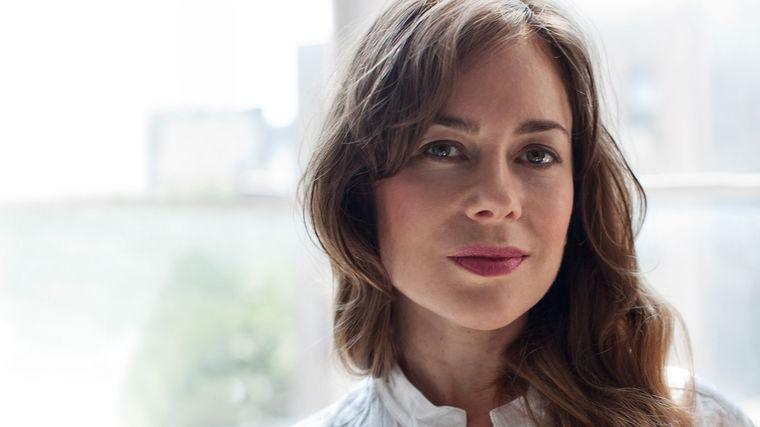 When Kate Bolick’s Atlantic story, “All the Single Ladies” was published, it marked only the third time in the magazine’s history that a female author had appeared on the cover. Interest in Bolick’s marquee article was so intense that it landed her a book deal. Spinster: Making a Life of One’s Own “sets forth a clear vision not just for single women, but for all women: to disregard the reigning views of how women should live, to know their own hearts and to carve out a little space for their dreams” (The New York Times). As a writer and speaker, Bolick uses lively, relatable language to bring complicated, deeply researched ideas to wide audiences. She is a contributing editor for The Atlantic, freelance writer for ELLE, The New York Times, and The Wall Street Journal (among other publications), and host of “Touchstones at The Mount,” an annual literary interview series at Edith Wharton’s country estate in Lenox, MA. Previously, she was executive editor of Domino, and a columnist for The Boston Globe Ideas Section. A recipient of a MacDowell fellowship, she holds a Master’s in cultural criticism from New York University, where she also taught writing. Bolick has appeared on The Today Show, CBS Sunday Morning, CNN, Fox News, MSNBC, and numerous NPR programs across the country. “Whom to marry, and when will it happen—these two questions define every woman’s existence.” So begins this bold, original keynote from journalist and cultural critic Kate Bolick. Using her own experiences as a starting point, Bolick weaves together the past and present to examine why­ she—along with over 100 million American women, whose ranks keep growing—remains unmarried. After a half century of ascent for women, which coincided with the descent of men, we’ve reached a historical point where career-minded women are finding fewer suitable mates, and are marrying later and in fewer numbers. What does this mean for women, for men, and for our society? This unprecedented demographic shift, Bolick explains, is the logical outcome of hundreds of years of change that has neither been fully understood, nor appreciated. It’s an unreservedly inquisitive talk that asks us to acknowledge the opportunities that exist within ourselves to live authentically. In this timely keynote, Kate Bolick demystifies the singles market and debunks our most pernicious cultural depictions. Single people shop and spend differently than coupled people. They're not necessarily obsessed with dating or getting married. They are far more social than is believed. They spend a lot of time and money on themselves, and also on others. Moreover, single people resent their invisibility in the culture at large. They are tired of living in a world where they are misunderstood—especially when everything is marketed to married people with children. This means that there’s not only a great deal of money to be made by accurately representing single people, but doing so actually improves the social fabric, as the ads we live with are an enormous factor in shaping perceptions. The only way to truly get rid of outdated perceptions of who singles are, Bolick argues, is to create a media world that reflects their reality. Hey, How'd You Land a TV Series Based on Your Atlantic Article, Kate Bolick?